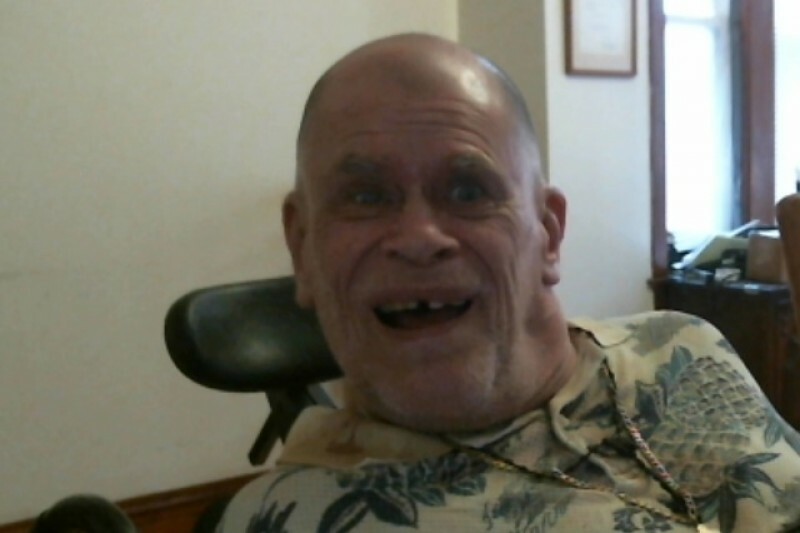 My name is Herb, and I am a 70 year-old man who was born with a severe case of Cerebral Palsy. Since I couldn't use my hands, my mom fed and took care of all my needs until she died 5 years ago. Since I wanted to live independently and not waste away in a nursing home, I continued to live in my house. The state pays part of the cost of my caregivers, However, they don't pay for all the hours I need to take care of my needs. Here is a list of my yearly out-of-pocket expenses that the state doesn't cover. With cutbacks to the Illinois budget, the small pension I get isn't enough to pay the Personal Assistants I require to help me eat, drink, bath, use the restroom, and all of my basic human needs, my rent, and the vehicle I require to go to my doctor appointments and church. As it stands now, I can only afford to pay my P.A. 's to be with me 18 hours a day, and I still have a $1,500 per month deficit in my living expenses. Despite my condition, I am healthy and hope to live many more years. However I know that many people who are placed in nursing homes die within 6 months just from the loneliness and neglect. I do not want to be one of these people. Please watch my video to learn more about my life, and if you can, make a donation towards my $18,000 goal. This will afford one more year of living independently, and not dying alone and forgotten like my friend Bruce. I hope the video and my stories will inspire others. Please donate and share. Disability is a sensitive topic. Fear of saying the wrong thing prevents people from saying anything at all and makes us avoid having important conversations about disability. This avoidance in turn creates the kind of toxic environment that leads to discrimination. I tried for nearly 72 years to show that people with disabilities can do anything that 'able bodied' people can, and hopefully they will think of us as equal. I was the only disabled man in an office of 25 able bodied men and women, and I tried to make friends with everyone. Some had a hateful hearts. Others were jealous that I could preform the same job has they could. After 35 years of service, and a number of awards, a 'head hunter' found a way to fire me. My tire tracks took a turn to advocacy work. Today, more than ever, we need advocates to stem the tide of fear of other groups and greed. President Trump has shown the world that making fun of people with disabilities is fun, and a good way to create fear and hatred. I'm consoled when I think of a saying that a good friend told me, "GOD doesn't like ugly". If you want to read more of my sayings in life, please donate to my cause. Click on https://www.gofundme.com/herbhome . I met Bruce at a social for people with disabilities that my church has every month. This was the first time that I saw him there. His mother was holding a towel by his mouth to catch the drops of pop dripping while he was trying to drink trough a straw. He had a hard time talking because of his breathing, but I was able to learn that he was leaving in the nursing home 4 blocks from my house. While my mother and his mother were talking, I was planning a visit with Bruce before the next month's social. As mom pushing down the ramp, I watched Bruce's nephew and his mom load him into his van. Since I was on the Illinois Developmental Distribution Advocacy Authority (IDDAA) I made a commitment to help him. I got one of our advocates to help him get out of the nursing home. During the year that I had the honor of knowing him, I learned that Bruce developed MS at the age of 30. He got married at the age of 20.He always wanted kids and after seeing birth control pills fall from her bag, his fear that his wife was thinking about leaving him grew. Did Bruce's leave him? What caused him to become disabled? Find out what happened. Thanks to the supporters for their donations to my campaign. For more than 50 years I tried to advocate for people with disabilities. Now I need your help. Please donate to my gofundme campaign. a “disabled man”. Therefore, she left him, never to return. that they had to take care of their son. move his body or cry for help. station). Bruce was taken to the hospital for 2 weeks until his medicare was used up. Bruce’s mother wanted him back in a nursing home, and told me to “Stay out of her business”. Bruce died 2 weeks later in the same nursing home. Bruce died alone. His life ended without dignity because his family didn't want to take their time to love and be with him. True love comes from God and can't be bought, sold, or traded. But we are the ones who must give that love to one another during our time on earth. I miss seeing you in church, god bless.